Growing up playing baseball there was one go to sunflower seeds brand where I lived and that was David. I remember always having a bag of plain or ranch, if I was lucky, in my batting bag. Like most kids my age, I would pop a huge handful into my mouth during warm-ups and endlessly eat them until games end. Needless to say, I became professional shell spitter and like riding a bike, I still have that skill. Yeah, such an accomplishment! As an adult, I do not eat seeds nearly like I did in my youth. However, I recently went my corner gas station and noticed they had an assortment of sunflower seeds brands. There were also a lot of sunflower seeds flavors that weren’t around when I was a kid. 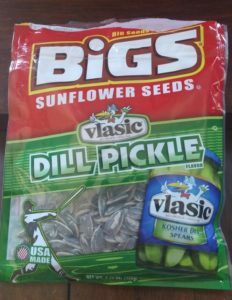 I decided to pick the below pictured Bigs Vlasic Dill Pickle seeds. These turned out to be amazingly tasty for a sunflower seed and worth the overpriced gas station price I paid. I haven’t had a lot of pickle flavor seeds but these are now my favorite. You can probably tell by the picture how much I liked them because I just bought them yesterday and ate well over half the bag. Anyway, my pleasant experience with Bigs inspired me to do some research to see how many sunflower seeds brands are out there. I decided to create the below list which includes the sunflower seeds flavors and brands. Hopefully, this makes it easy for readers to find different brands and flavors of sunflower seeds to try. Please comment below your favorite sunflower seeds flavors and/or brand. Also, let me know of a brand or flavor that I may have missed and I can add it asap. Bigs Sunflower Seeds: Original, Vlasic Dill Pickle, Bacon Salt Sizzlin' Bacon, Hidden Valley Ranch, Sea Salt & Black Pepper, Stubb's Bar-B-Q, Old Bay Seasoned, Heinz Salt & Vinegar, Frank's Redhot Buffalo Wing. Dakota Style Sunflower Seeds: Original, BBQ, Dill, Ranch. Kernels: Honey Roasted, Salted Caramel, Savory Bacon, Unsalted, Roasted & Salted. David Simply Seeds: Lightly Salted, Sour Cream & Onion, Black Pepper. Jumbo Sunflower Seeds: Original, Bar-B-Q, Ranch, Jalapeno Hot Salsa, Reduced Sodium, Dill Pickle, Buffalo-Style Ranch, Chili Lime, Sweet & Salty, Sweet & Spicy, Cracked Pepper. Regular Sunflower Seeds: Original, Bar-B-Q, Ranch. Frito Lay Sunflower Seeds: Kernels, Original, BBQ, Flamas, Ranch. Gerbs Sunflower Seeds: Habanero Roasted, Chipotle , Toasted Onion & Garlic, Salt Lovers, Sea Salted, Lightly Sea Salted, Unsalted, Raw. 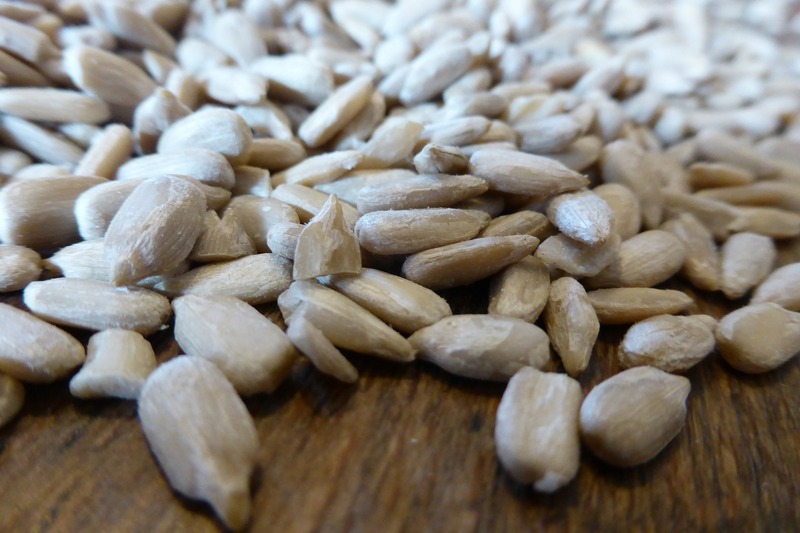 Giants Kettle Roast Sunflower Seeds: Salty Sweet, Sweet Dill Pickle, Toasted Coconut, Fresh Cracked Pepper. Sincerely Nuts Sunflower Seeds: Roasted & Unsalted, Roasted & Salted, Large Roasted & Salted, Large Roasted & Unsalted. Swamp Seeds Sunflower Seeds: Cajun Gumbo, Cajun Boil. Trader Joe's Sunflower Seeds: Roasted & Salted. 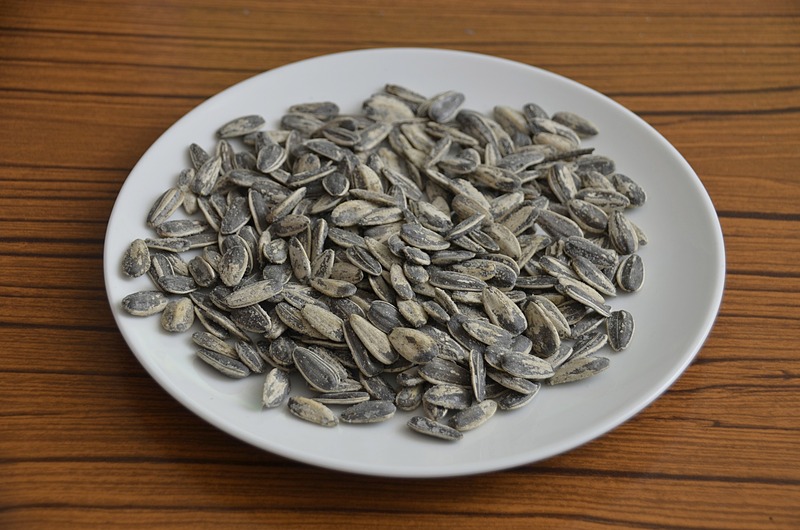 We Got Nuts Sunflower Seeds: Raw, Roasted Salted, Roasted Unsalted, Raw Isreali, Roasted Salted Isreali, Roasted Unsalted Isreali.